You can help to develop your intuition by exercising and applying common sense in your daily life. Adopt a calm and peaceful nature. Maintain a depth of thought and a focus on a continued activity in a singular direction. Devote yourself to daily introspection and analysis, and most of all, meditate and hold on to the serene aftereffects of meditation to create an intuitive state. This technique rotates the mind's resonance from negative to neutral to positive, where a feeling of relief is felt. Afterwards, care must be taken not to have the same negative thought sequences shift you back again. Even getting close to doing this exercise correctly will bring about good results, so practice it a lot. It is the precursor to Exercise -- Meditation discussed later. The feeling after or during deep meditation that gives you a peaceful, calm and happy feeling is the state of intuition. Exercise and be aware of this powerful state on a daily basis. Sometimes you may have a momentary flash of insight during the day, and without even trying to do anything you will have a foretelling vision of future events The more you tune into your intuition, the easier the process becomes. Eventually you will learn to rely more and more on your intuition before making any important business, social or spiritual decisions. However, some people fixate at this stage and never grow beyond it. If we are not taught the importance of letting go of our grievances as children, we will come into adulthood with a gunnysack of unfor-given experiences. If we are not careful, we will then build our lives around our anger toward people who we feel are to blame for something they did or that we disapprove of. Many psychotherapists and psychiatrists spend their entire careers helping people confront and deal with these unhappy past and current experiences. For the auditory minded, practice with a tape recorder and a friend. Have the friend prearrange a series of calculations on paper to be read into the tape recorder for playback by you later. For instance, have him read at a certain tempo 40 x 3 + 20 + 7 + 5 x 4 x 3 + 12 Design your own variety of problems with varying complexity and press yourself for speed by having the tempo increased progressively. With practice, you'll find a 'letting go' procedure takes place and the answer just pops up It might also help to disengage the left brain from participating in the calculations, so say the ABC's while mentally doing each mathematical problem. As another drill, have a friend read words to you from a book and you give the number of letters in them. Multiply a negative vibration by thousands or millions of people and discordant 'auras' over cities, countries or even worlds can be perceived as they are approached from a distance. Focused, directed, positive energy from one or more people can change events and conditions because orderliness is more universally natural than disorderliness. Your energies are more in harmony with the universe when they are positive and focused. When you feel the universe as friendly, abundant and filled with joy and selfless love, you attract exactly that reality. As an example, in areas where large groups of peaceful meditators congregate, crime and traffic accidents drop significantly. Whether you engage in negativity or positivity, as ye sow, so shall ye reap. As Einstein pointed out, time flows at different rates for each person's perception. John Brodie of the San Francisco 49er's football team experienced an effect during moments of playing time where he perceived things around him moving slower than usual, giving him a longer time to observe, plan and react. Practicing meditators have a distinct advantage for they accustom themselves to these relaxed states of slower brain waves where moments of timelessness can be experienced. Perhaps consciousness is merely an appearance of separate, sequential flashes or frames of awareness. Some people experience their whole life flash before their eyes in a matter of seconds just prior to a sudden death-risking situation. Also dream researchers have discovered that a one minute dream sometimes feels like hours to a dreamer. Optimal affirmations are first-person, present-tense, Optimal statements you implant in your mind to affirm the best results. They are verbal act as if . . . creative statements. When you have decided which Optimal affirmations you wish to integrate, you can write them repeatedly in your notebook. Be sure to jot down and resolve your unsupportive responses. You can also create other visual reminders. You can meditate on them, sing them, or record them on a cassette tape to listen to whenever you want. Here are some Optimal affirmations you may wish to use. The Rabbi was very polite and said, In all your traditions you do so well. You pray every day several times. You eat your meals in the tradition of your order. You teach each other and meditate often. In all these and many more things you perform flawlessly. And yet you are missing one essential thing. There is one area of brain science that is particularly interesting with regard to creativity and learning. It is known as the state of flow. Many of you will have had an experience of flow, when you are so caught up in a task that time ceases to matter. Perhaps you found this state when you were wholly engaged in writing something, or painting, or decorating, or involved in a soul-searching discussion. Or, perhaps you achieved it when you were deep in thought, or meditating, or jogging, with your mind able to reach deep inside itself as you pound along. The idea of the state of flow was first described by American scientist Mihalyi Csikszentmihalyi. You may also have heard this kind of experience referred to as being in the alpha state. A metronome or the steady beat of a drum are both excellent stimuli for inducing the alpha state. Yoga, Zen meditation and some occult techniques achieve the same effect concentrating on a point in the body or on a mandala, emptying the mind, adopting a certain breathing rhythm, concentrating on a Zen 'koan' (a kind of spiritual riddle), staring at a tarot card, etc., are all techniques you can use to enter the alpha state. them rediscover the benefits of spiritual practices like meditation or yoga, acting as a bridge between two worlds, that of our modern, technological society, and the world of the ancient sages, with their highly developed understanding of inner processes and the subconscious mind. In another experiment, more than two thousand persons attending a rock concert were asked to concentrate on an image projected above the stage. The image represented a yogi, meditating in full lotus position. The subject of the experiment dreamed about a holy man who was meditating and receiving energy from the sun. Writing in a journal has many advantages. It can clarify your goals and sharpen your thoughts each day about what is important to you and what you really want out of life. Your self-worth is enhanced as you note your daily achievements and joys of life. Problems also seem minimized when they are written down on paper. You will learn to express your feelings better, and when you learn to express your feelings, you strengthen your relationships. Journaling can also be a form of meditation. It can quiet your mind and focus your thoughts. It can reduce your anxiety, cheer you up and make you smile. 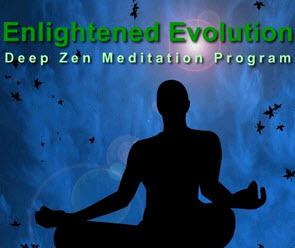 Meditation - Perhaps the most profound changes you will ever make in your life will be in those times of stillness when you connect with your Higher Self. 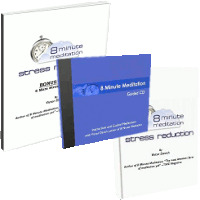 Through a program of intentional stillness, you can significantly speed up the process of incorporating and integrating the Light Speed Reading course. 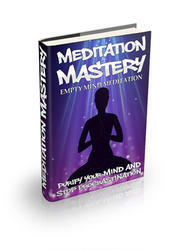 There are several very successful and effective meditation processes and programs available in your public library. Further information can be had from TM (Transcendental Meditation) groups. Check in with your local Public Library for assistance. Since the analytical side of the brain cannot interpret any of the content at all, the non-analytical side of the brain has to make the adjustment. By applying a relaxed letting go process (achieving an alpha theta state is ideal), the subconscious will tune into the language and you'll be understanding it without understanding how you understand it. It's like thinking with intention instead of words. Researchers have found in people that have had their corpus callosum severed that their right brain has recognition abilities of language but simply cannot verbalize it. It might take many sessions and a lot practice, but this spontaneous interpretive listening can be mastered in time. Also, the feedback of the English translation after each monologue allows you to monitor your progress. The spiritual medium Daniel Dunglas Home was observed levitating numerous times. In 1852, the Hartford Times stated that he began at the age of 19 with a spontaneous levitation to his ceiling. Later, after learning to control his levitations, he demonstrated his ability to such notables as Emperor Napoleon III and Mark Twain. 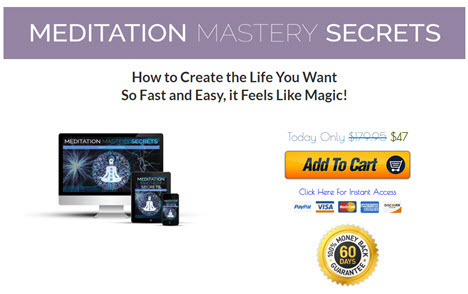 More recently, the transcendental meditators of Maharishi Maharesh have been offered a special mantra and instructions that reportedly enable them to levitate. At the Maharishi International University in Fairfield, Iowa, 2 meditation domes have been constructed for meditators to safely and privately levitate inside them. As there seems to be a great deal of hopping in the initial stages, crash pads are often attached to their legs to cushion their sudden descents. Different angles, so to speak, and learn more about a thing's essential nature. But still, true enlightenment is a step beyond insight. You achieve enlightenment only when, in addition to knowing what an author says, you know what he means and why he says it. Being informed and having insight are prerequisites to being enlightened. But do not settle for less than the best when it is important to you. The PhotoReading with analytical reading strategies, will take you the final step to enlightenment. In many instances, this process occurs during 37-hour cycles -- beginning with negative, emotional repression and ending with ailments or mishaps. For example, think back to when you last got a cold. Did something 37 hours prior to catching your cold emotionally upset you Strong emotion sets the body clock into motion. As an exercise, keep a diary and record the exact hour that you next blow off steam, and be careful with your activities 37 hours later. Also, reverse the process. Meditate or create a joyful, loving atmosphere about yourself 37 hours prior to an important meeting or event in your life and notice how well things go for you. Many people have found transcendental meditation - a technique that uses the repetition of a simple mantra like 'Om' to focus the mind - to be an excellent replacement for drugs. According to the Stanford Research Institute, 60 to 90 of persons who used drugs at one time or another stopped completely after a few months of this kind of meditation. On the 24th of May, 1972, the Illinois House of Representatives adopted a resolution which stated that Transcendental meditation represents a positive alternative for people who have abused drugs. Studies indicate that it is the most effective way yet discovered to prevent drug abuse. 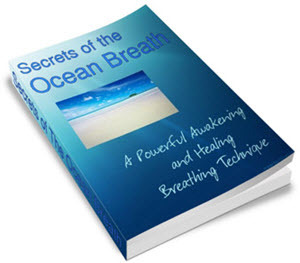 Now get into a comfortable, relaxed position and do some deep, abdominal breathing (review Exercise -- Relaxation For Improved Awareness). Quiet your mind. Concentrate and review your problem thoroughly from all angles with as much information as possible. Suspend your judgment then simply 'let go' and don't think about the problem anymore. Allow yourself a sense of alert awareness. Tune in and be aware of yourself physically, mentally and emotionally. Visualize yourself on a relaxing train journey crossing the country. Feel calm and relaxed as town after town, home after home pass on by. With no thoughts of any cares or worries, you're simply observing the world go by. By letting the logical mind rest, the intuitive mind often comes up with the answers after your conscious focus has been switched away from it. Do this stating of the problem and letting go procedure just before you meditate or go to sleep and the solution will frequently pop up later. You can control the harm that stress does to your memory by finding ways to modify your response to stressful life events. Vigorous physical activity helps some people overcome stress others use meditation or relaxation techniques. For some, it's a matter of learning their limits how much stress they can take on and developing assertiveness in politely but firmly declining a task or commitment. Everyone's different. What's important is that you find stress-management activities that are effective for you. I discuss scientifically proven stress-reduction techniques in Chapter 9. You sense that it is in your best interest. When your brain wave activity is reduced with techniques such as hypnosis and meditation, or when you take a nap, the left brain shuts down and you gain access to the right brain, which houses your intuition. Your right brain also becomes dominant when you are highly aroused. Activities such as jogging and brisk walking can provide you with the necessary brain wave activity to experience your greatest flashes of insight. At the other end of the spectrum are the so-called cold colors, which have a soothing, balancing effect on the organism. Closest to ultraviolet light are purple, blue and blue-green, all of which slow down heartbeat and reduce blood pressure. As the physical body relaxes, it becomes easier for the mind to concentrate or meditate. It should not be surprising that researchers became interested in alpha waves, as a possible way of teaching people how to relax. Various approaches and devices were tried, including biofeedback machines, techniques based on existing relaxation and meditation methods, drugs, etc.